The Samsung Galaxy Note 8 release date is less than four months away and will be hugely important for the company. After a failed and recalled Galaxy Note 7 in 2016, buyers are anxious to get their hands on the next Note. Here’s everything you need to know about the Galaxy Note 8 release date, rumors, features and the latest news. Recent Galaxy Note 8 rumors point to some major changes that should have potential buyers excited. From dual cameras on the back to a bigger bezel-free Infinity Display similar to the Galaxy S8. The Samsung Galaxy S8 tells us a lot about the Galaxy Note 8. Then, as the August release nears more information will begin to surface. We have a good idea of what to expect already, and below we will walk you through important Galaxy Note 8 details as we await its arrival. The Galaxy Note 8 price is completely up in the air. 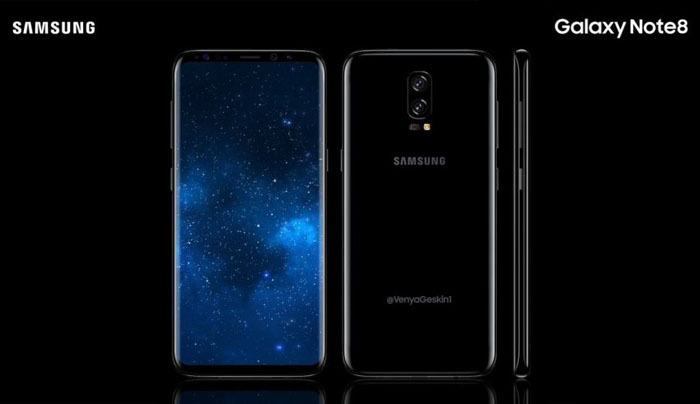 In previous years it was the highest priced Samsung smartphone, and with all the upgrades we’re expecting something similar this year. The Samsung Galaxy S8 Plus was its most expensive phone coming in around $849. But its price is still no more than iPhone 8.